Redlands, California—Esri, the global leader in spatial analytics, today announced the release of GIS Tutorial 1 for ArcGIS Pro: A Platform Workbook, which teaches all the elements of creating and managing data; designing maps; performing spatial analysis; creating 3D scenes; and sharing projects using ArcGIS Pro, Esri's premier professional desktop geographic information system (GIS) application. Designed for use in a university classroom setting, this workbook includes step-by-step instructions, On Your Own exercises, and in-depth assignments. Instructors can access teaching materials. Self-learners will find this textbook to be an excellent introduction in how to use ArcGIS Pro. Each tutorial includes easy-to follow, step-by-step instructions. 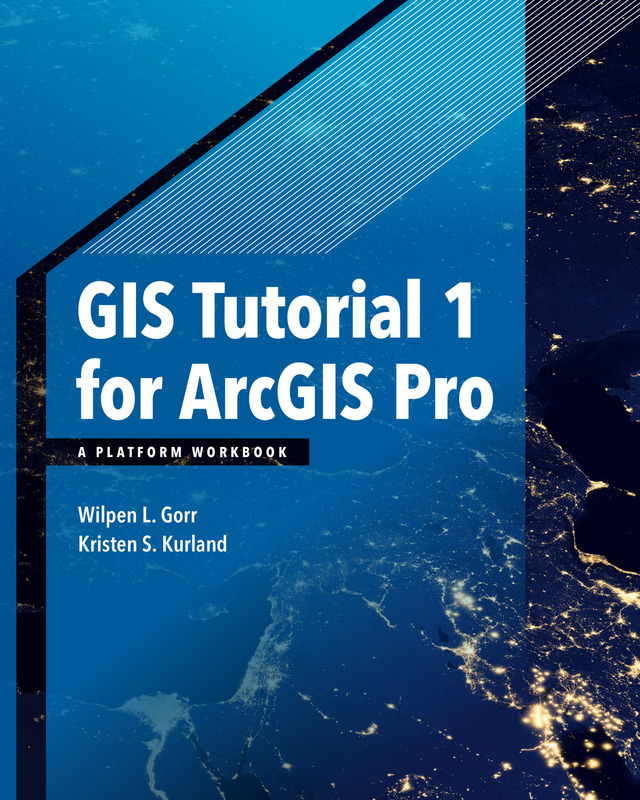 GIS Tutorial 1 for ArcGIS Pro: A Platform Workbook was written by Wilpen L. Gorr and Kristen S. Kurland, the authors of other highly regarded tutorials including GIS Tutorial 1: Basic Workbook, GIS Tutorial for Health, and GIS Tutorial for Crime Analysis. Gorr is a professor of public policy and management information systems at the School of Public Policy and Management, H. John Heinz III College, Carnegie Mellon University, where he teaches and researches GIS applications. Kurland is a professor of architecture, information systems, and public policy at Carnegie Mellon University's H. John Heinz III College and School of Architecture. There, she teaches GIS, computer-aided design (CAD), building information modeling (BIM), 3D visualization, and infrastructure management. 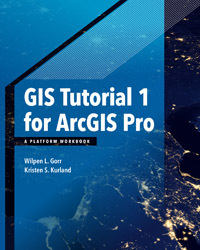 GIS Tutorial 1 for ArcGIS Pro: A Platform Workbook is available in print (ISBN: 9781589484665, 480 pages, US$99.99) and as an e-book (ISBN: 9781589484931, 480 pages, US$99.99). The print and e-book editions of the book can be obtained from online retailers worldwide, at esri.com/esripress, or by calling 1-800-447-9778. Outside the United States, visit esri.com/esripressorders for complete ordering options, or visit esri.com/distributors to contact your local Esri distributor. Interested retailers can contact Esri Press book distributor Ingram Publisher Services.